Bega the new home of Vegemite - wow! 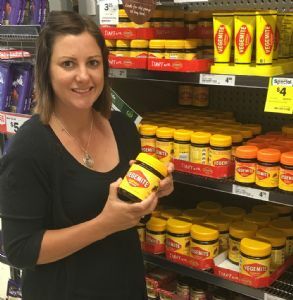 Bega Valley Shire Mayor, Kristy McBain has congratulated Bega Cheese for its acquisition of Vegemite. “Bega Cheese carries our region’s name to supermarkets, household kitchens and dining tables throughout Australia and the world,” Cr Mc Bain said. The $460 million deal will see ownership of the famous yeasty spread back in Australian hands. “Our region is now home to perhaps the two biggest food brands in Australia – Bega Cheese and Vegemite,” Cr McBain said. Council and Bega Cheese have always had a close and communicative relationship; both organisations understand the important strategic and practical role they play in the Shire’s economy. “Bega Cheese is an ever evolving company, its growth from humble beginnings is something we are all so proud of,” Cr McBain said. “Executive Chairman, Barry Irvin and I have had discussions regarding how we can work together to support the Company’s further evolution and ongoing presence in the Bega Valley. “Bega Cheese is not only the back bone of the local economy, it sets a mood for our community and has always demonstrated good business, and a commitment to ‘local’ that sets it apart. “This really builds on the momentum already underway in our Shire,” Cr McBain said. “Just this week we turned the first sod on the Merimbula Airport expansion, not to forget our booming cruise ship industry in Eden, the new South East Regional Hospital, and our Civic Centre redevelopment. “This move by Bega Cheese puts our region in the minds of other big companies, Council stands ready to assist anyone looking to do good business here,” Cr McBain said. Upcoming Australia Day celebrations across the Shire are expected take on a ‘Vegemite’ theme now, with Council’s main ceremony to be held at the new Bega Valley Commemorative Civic Centre in Bega from 9am. Photograph: Mayor Kristy McBain has always been a ‘Vegemite Kid’ but more so now.